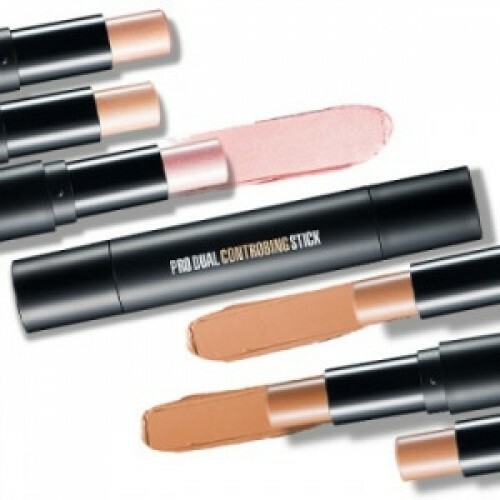 ● Products DescriptionCLIO Pro Dual Controbing Stick 4g+3gDual stick to give contouring + strobing at the same time.Gives skin fit natural color for contour face look. Soft glow pearl high lighter + natural contour shading dual typeSilky finish blending base gives light powdery fit. ● How to useAfter base makeup use shading to give contour on hair line, side face, chin line and nose. Use highlighter to give volume onto forehead, nose, chin and under eyes.Use sponge, puff or hands to pat lightly and blend.